#79 - STAR TREK REVIVALS: MAKE IT SO? We live in a pop-culture era rife with legacyquels and revivals, where actors and creators are reunited decades after their last triumph in order to fish for audience nostalgia dollars. So it's only inevitable then that Trek will eventually want in on the action too, right? To mark the close of Fox's successful X-Files reboot, hosts Cam Smith and Tyler Orton put on their hypothetical exec hats and debate which classic franchise TV incarnations have the best chance at being resurrected in the future. 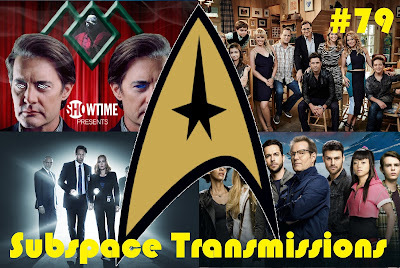 From the Original Series to Enterprise, we weigh in on each show's theoretical cast participation conflicts, further story potential and industry enthusiasm in a bold effort to predict the next great resurrection effort to take primetime by storm. Last November brought the announcement of Trek's return to television. And now this thrilling venture has a captain! 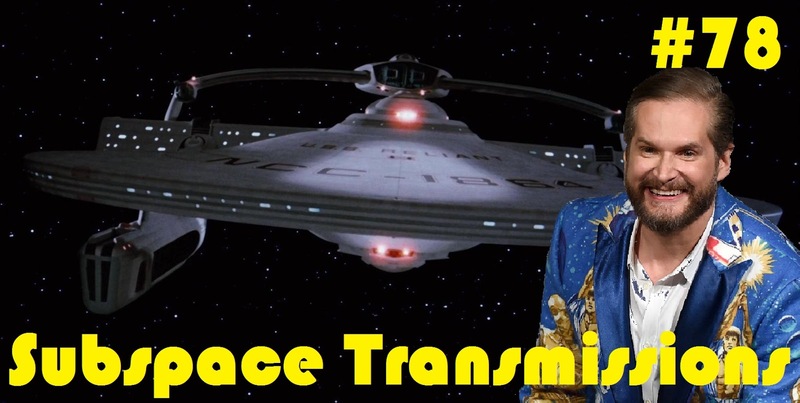 In celebration of this thrilling news, hosts Cam Smith and Tyler Orton, along with returning guest Carmin Carotenuto, spend this week's episode pontificating on what the hiring of veteran TV show-runner Bryan Fuller means for the future of the franchise. What kind of show will the Hannibal/Pushing Daisies mastermind gift to the world? And what skills, flourishes and quirks does he bring to the table? As well, over the course of this hour long conversation, discussion also swirls around Fuller's past comments about his vision for the property, along with a wish list of which aliens warrant more and less prominent roles going forward. Have you ever watched a seemingly dysfunctional real life couple and wondered how in the name of the Founders they managed to make it work? Well, that same rule applies to more than a few passionate Trek unions. In celebration of Valentine's Day, hosts Cam Smith and Tyler Orton bask in the luminous glow of the franchise's countless tales of love achieved through the most bizarre and, in some cases, seriously unhealthy circumstances. 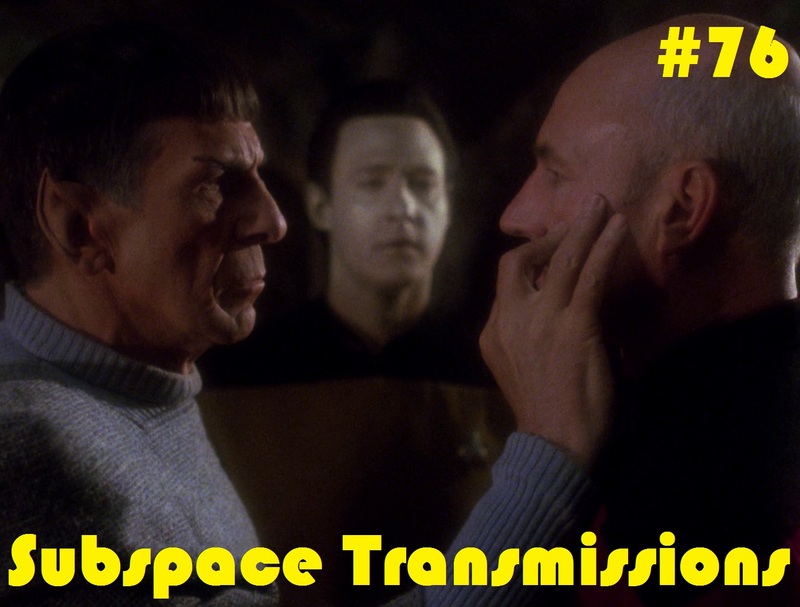 From haunted heirloom candles and gaseous energy clouds, to whirlwind holodeck affairs and the bickering O'Briens, we recognize that even in Roddenberry's utopian future romance can still be plain old bonkers. What happens when you mash up glorious original series Trek with The Next Generation in its prime? Is it - to borrow a well known phrase - truly the best of both worlds? This week hosts Cam Smith and Tyler Orton, along with returning guest Tom Ball, revisit the much-hyped 1991 all-star crossover in order to determine whether Leonard Nimoy's final franchise television appearance belongs in the pantheon of great Spock episodes. They also discuss Mark Lenard's crucial turn as Sarek, the dramatic weight of the Vulcan/Romulus reunification plot, Data and Picard's awkward sleeping arrangements and, most importantly, the pure awesomeness of Riker and Worf's unforgettable encounter with a certain flirty four-armed bar musician.